Ganges Is One Of The Holiest River In India And Its Source, A Sacred Pilgrimage For Devout Hindus. 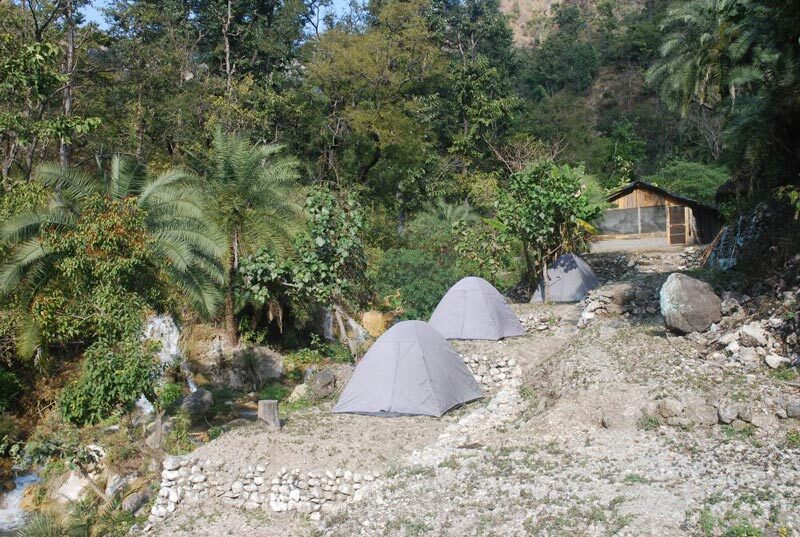 The Trek Follows The Ganges To Its Source At Gaumukh, The Snout Of River Ganges. Legend Is That Goddess Ganga Descended Here From Heaven After Prolonged Penance Of King Bhagirath. Arrival In New Delhi, Reception Upon At Indira Gandhi International Airport New Delhi. Transfer To Hotel. Morning Transfer To Railway Station To Board Shatabdi Train To Dehradun. Arrive Dehradun & 35 Km Drive To Mussoorie. Popularly Known As The Queen Of Hills, This Charming Hill Station, 280 Km From Delhi Is Situated At An Altitude Of 2,500 Mts. Above Sea-Level. Enchanting View Of Pine Covered Hill Slopes And Snow Capped Mountains Leave An Indelible Impression On One'S Mind. The Modern Bungalows, Malls And Well Laid Gardens Which Are Located On The Small Hills Around The Area Are Enough To Attract Any Tourist. Day Free At Mussoorie To Explore The Surrounding Areas. 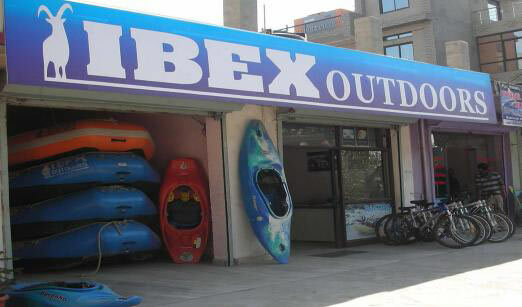 You Can Visit The Lal Tibba, Gun Hill, Kempty Fall And Mall Road. Day 4: Mussorrie - Uttarkashi 1150 mts. Drive 5 Hours (130 Km). The Drive Along The Ridge Line To Chamba, Affords Panoramic Views Of The High Mountain Peaks Of Garhwal. 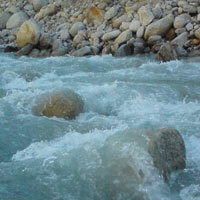 Then Down To Tehri To Join The Bhagirathi River Valley, Which We Follow Upto Gangotri. Day 5: Uttarkashi - Gangotri 3048 mts. Drive 5 Hours (100 Km). Following The Torrential River Up Stream, The Road Winds Up The Valley Past The Hot Sulphur Springs At Gangnani, To Climb Steeply Up A Series Of Hairpin Bends To The Village Of Sukki. Arrive Gangotri. Afternoon Free To Explore The Gangotri. Thousands Of Pilgrims Arrive Here In Summer To Wash Away Their Sins In The Holy Ganga, It Is Said That Lord Shiva Sat At The Base Of This Fall To Take The Ganga Into His Locks, For Otherwise Her Descent From The Heavens Would Have Split The Earth. Day 6: Gangotri - Chirbasa - Bhojbasa 3800m mts. 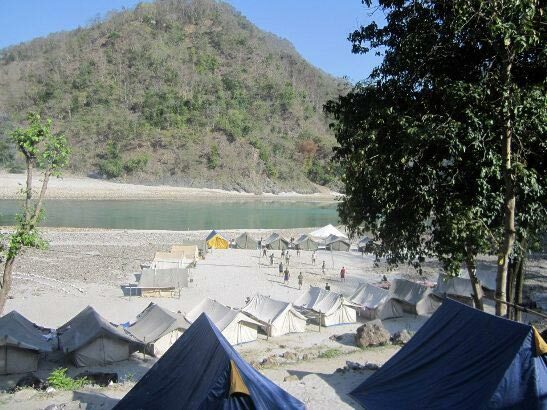 From Gaumukh, Source Of The Ganges, The Scenery Is Fascinating, With Praying Pilgrims And Half-Naked Saddhus Meditating Along The Banks Of The Tumultuous Stream That Pours Out Of The Glacier. 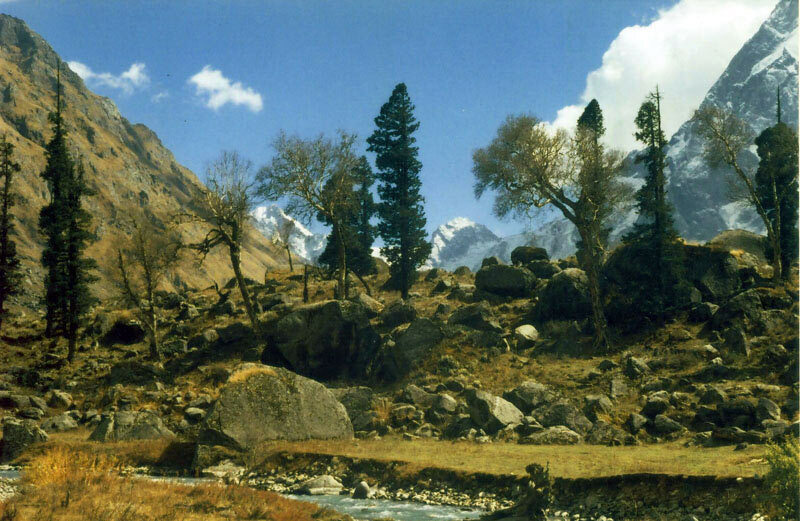 The Trail Crosses Gangotri Moraines Before Reaching Tapovan And Its Gorgeous Meadows, Furrowed With Streams And Scattered With Flowers. From Here The Panoramic View Over Shivling (6540M), Meru (6660M) And The Bhaghirati Massifs (Above 6500M) Is Stunning. It Is Not Surprising That Saddhus Chose This Area To Meditate In Summer Time. A Full Days Walk To The Kirti Bamak Glacier And To The Base Of Peaks Kedarnath Dome 6850M, Kirti Bamak 6500 M And To A View Of Shivling From The East. Return To Camp. This Day Is Largely An Exercise Is Boulder Hopping. Crossing The Moraine Covered Gangotri Glacier To Nandawan Located At The Confluence Of The Chaturangi And The Gangotri Glaciers. Literally Meaning The Four Coloured Glacier. The Chaturangi Is Truly Multi-Hued. The Massive Meadows Of Nandavan Are Situated At The Base Of The Bhagirathi Massif. The Area Provides Excellent Sightings Of Bharal (Blue Sheep). 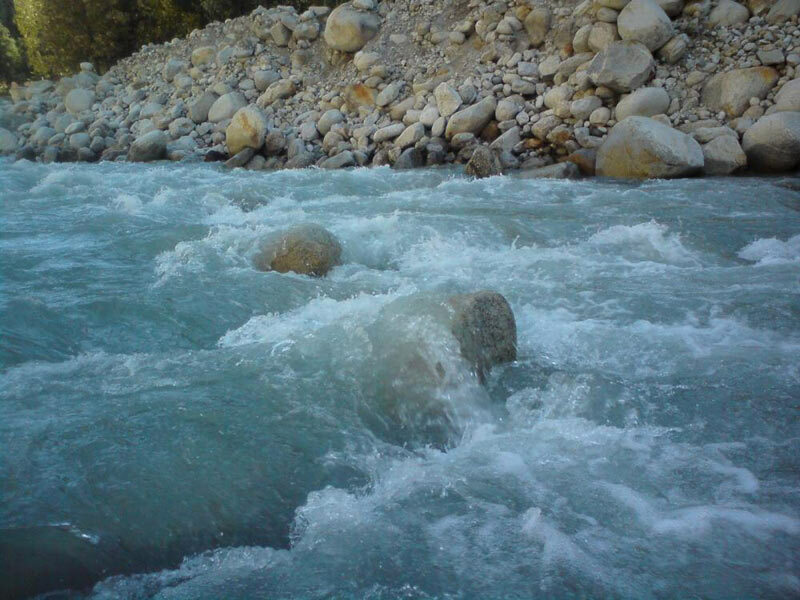 Trek Back To Gangotri And Drive To Uttarkashi. On Arrival Uttarkashi Transfer To Hotel. Drive To Rishikesh 5 Hours. On Arrival Check Into Hotel. Evening Free For Personal Activities. Overnight: Hotel. Morning Free. Afternoon Drive To Haridwar Railway Station And From Haridwar Catch Train For Delhi. On Arrival Meet At The Station And Transfer To The Hotel. Transfer To The International Airport Time To Catch Flight For Onward Destinations. Lamayuru Chilling Via Dung Dung La (ladakh.. 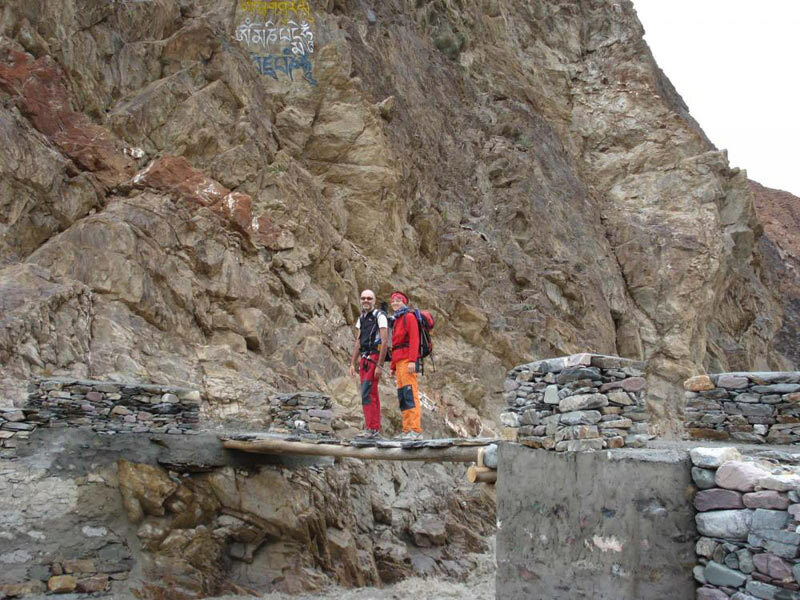 Destinations Covered : Chandigarh City, New Delhi, Manali, Leh ..
Lamayuru Alchi Trek Tour (ladakh-moderate ..